While the American public is aware of the CIA's use of highly controversial "enhanced interrogation techniques," few know the man who, in the wake of September 11th, led all U.S. counterterrorism operations including the use of these procedures, tactics which obtained vital and timely intelligence and helped safeguard the nation from future attacks. 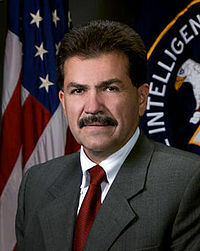 That man is Puerto Rican-born Jose A. Rodriguez, Jr., who served the United States for twenty-five years as an undercover officer before bringing his wealth of field knowledge to the CIA's Counterterrorism Center. In his book, Hard Measures: How Aggressive CIA Actions after 9/11 Saved American Lives, he reveals how hard measures have derailed terrorist activity targeting the U.S., and saved countless American lives. Fully disclosed in his book are the undercover operations and tactics implemented during the George W. Bush presidency, which were approved by the highest levels of the U.S. government, Justice, and supported by a bipartisan leadership of Congressional intelligence oversight committees. As the shock of 9/11 faded, the support that the intelligence community enjoyed and deserved gave way to shortsightedness. One by one, the tools needed to successfully fight terrorism were banned, and the men and women who volunteered to carry out our nation's orders in combating al-Qaeda found themselves second-guessed, hamstrung, and investigated, including Rodriguez himself. In effect, the United States has chosen to willfully and unilaterally disarm itself in the war on terror. "Jose Rodriguez was powerful. His presentation was packed with information and created quite a stir as we kick off for our convention. He was informative, engaging, witty, entertaining... everything one would want for a keynote speaker."